Dedicated to providing individual-based professional health care for the families in our community. We will provide exceptional care that patients recommend, providers prefer, and employees embrace with pride. Family-First SCH believes that engaging a patient’s family is essential to providing the best care, and respect for an employee’s family needs makes for better and more focused employees. Accountability is a promise to our fellow employees, and those we serve, that we will live up to our responsibilities, fulfilling our duties with passion and eagerness. Communication is sharing meaningful information, listening to patients and understanding what colleagues want and need to know to be accountable, committed caregivers. Teamwork means we are stronger working together, where no one employee is more important than another in achieving team success, sharing passion and commitment to the best patient outcomes. Change is finding new ways to work and implement continuous improvement to assure our sustainability in the dynamic health care field. Enthusiasm to work as a team, each day, with a sense of purpose and excitement for those we serve. Sheridan Community Hospital (SCH) is a 22-licensed bed critical access hospital, located in the heart of Montcalm County, on M-66. The hospital employs over 160 workers and professional staff and serves Montcalm and parts of Ionia, Gratiot, Mecosta, and Isabella counties. In 1999, SCH became certified to provide care for patients requiring longer-term stays. We now have ten beds that are certified as part of our Subacute Short-Term Rehabilitation Program or transitional care nursing. SCH has had continued success in broadening its capabilities in the area of emergency services, same day and short stay surgery, patient-centered care, outpatient services, visiting physician specialists and the offering of on-going community education programs. Each day, more people have the opportunity to receive these services here, in Sheridan, rather than traveling to Lansing, Grand Rapids or other locations. We're here for everyone, even those with a physician who is not on our medical staff. Just imagine the time, money and energy saved for those who might need lab work, diagnostic studies, rehabilitation services, and more, by having it arranged through their doctor's office, to stop by here in place of traveling a greater distance. It just makes good sense. Services continue to expand and include emergency care and a walk-in clinic (24 hours, 7 days a week), inpatient and outpatient services, medical/surgical care, same day or short stay surgery, pulmonary diagnostics, rehabilitation services, CT scanning, ultrasound, x-ray, mammography, bone density testing, and various other diagnostic testing. Additionally, SCH offers a variety of health and	wellness programs like monthly education workshops, health screenings, community health fairs, and blood pressure clinics. Sheridan Community Hospital's medical staff includes dozens of active, consulting, and courtesy staff	physicians, a team of ER physicians, as well as many allied health professionals. A variety of physician specialists see patients weekly in the Physician Specialists' office (located in the hospital's southwest wing) and in the Cardiopulmonary Department. Specialtys include gastroenterology, general surgery, ophthalmology, orthopedics, pathology, peripheral vascular, podiatry, radiology, and urology. We thank you for your continued support to Sheridan Community Hospital. 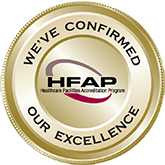 As always, we will continually strive to make improvements so that your healthcare experience is second to none!